This is my fourth post this week already and it's only Wednesday, what's going on?! 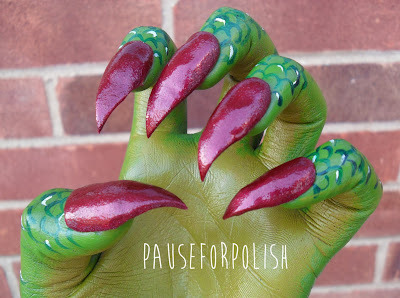 Anyway here is the next £1 PW feature, which just so happens to be the polish i used for this 3D challenge mani. 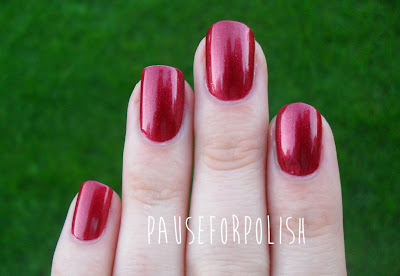 Now i'm not usually a red person, i probably only have about 7 reds out of my 160 polish collection. 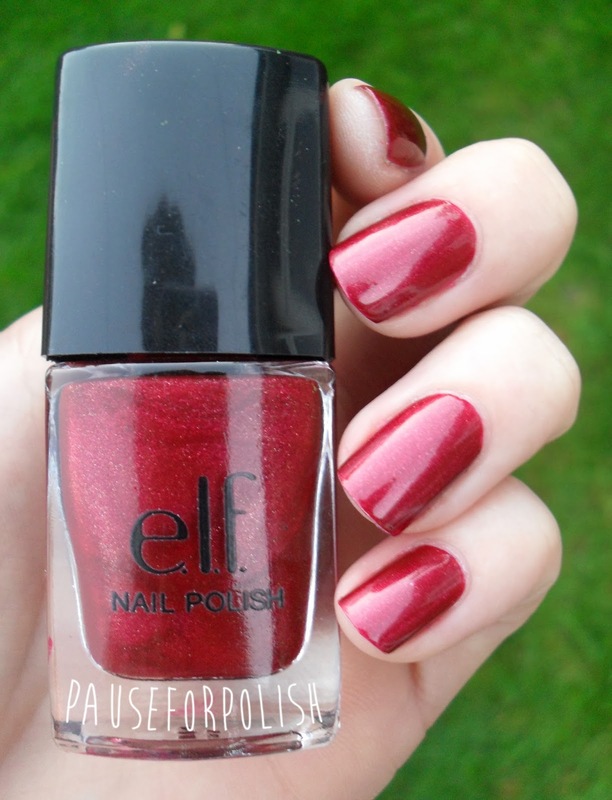 That being said this is such a beautiful, deep shimmering red that i just had to have it! I brought this polish roughly a month ago but it's still available on the ELF website if you click here. They also currently have a 50% of everything promotion (if you spend £20 or more) meaning you could pick up a fair few full price polishes for just £10 after discount.. schweeet! 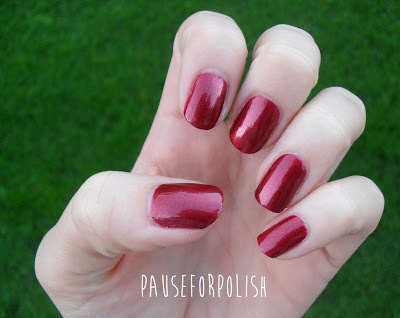 Back to the polish! 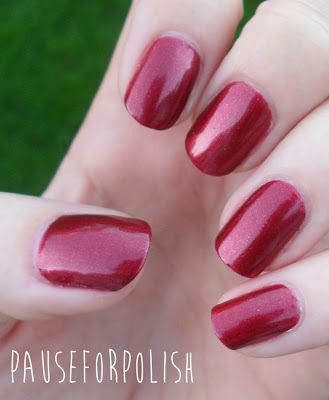 It's called Cranberry and as i said before it's a really deep red, the photo's make it a little lighter than in real life. It has a slight gold shimmer to it which catches beautifully in the sunlight. The application was fine, it was opaque in two coats. 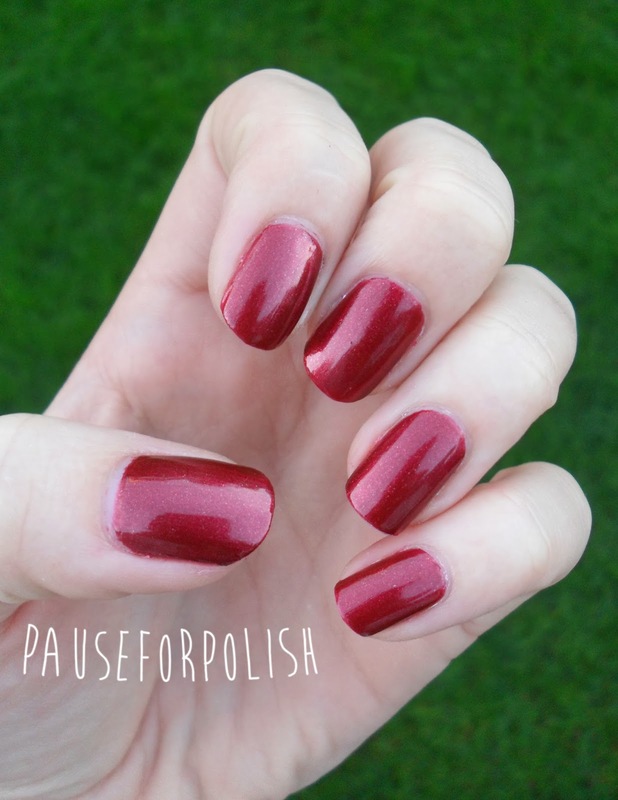 The only issue i had with the polish was removing it, as it was a little stubborn to get off around my cuticles, but nothing a bit of patience and polish remover couldn't fix. 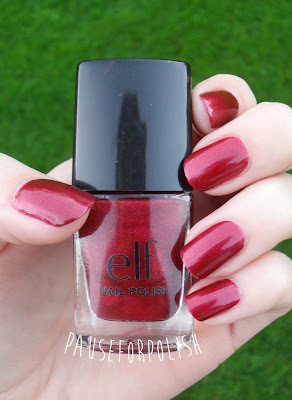 I'd definitely recommend buying this little varnish, it's a perfect fall/winter shade! The dragon paw is awesome!